Carpet Cleaning Concord, Lafayette, Benicia, Martinez, Pleasant hills, Walnut Creek, Hercule California - How Can I Find the Best Local Carpet Cleaning Company near me? Home Carpet Cleaning Services How Can I Find the Best Local Carpet Cleaning Company near me? This is a question many prospective customers ask and for a good reason too. Your carpets require adequate care and attention if they are to remain clean, healthy, safe and last a long time. In order for them to happen, you will need the services of the local carpet cleaning company near you. Finding the right carpet cleaning company is of utmost importance because the truth is, everyone wants to make money. But only few are willing to put in the work. 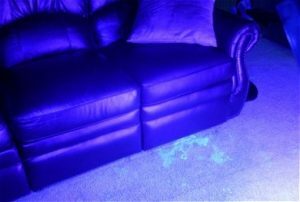 With that said, we have compiled few but essential tips to help make the right decision with carpet cleaners. Consider a carpet cleaning company’s reputation before hiring them. Many carpet-cleaning companies exist, but unfortunately, all are created differently. Some have more experience and are simply better than others. You should seek out opinions from your family and friends and check for reviews online. You can then be better able to find the carpet cleaning service that fits your budget and needs. When you are considering hiring a carpet cleaning company, you must ask about the types of solvents and chemicals they will be using. Many companies still use harsh chemicals, but a quick search online will help you to find out which companies use green products. If you are looking into having your carpets cleaned, you should understand how the pricing structure works. That means they charge you a low fee initially but will keep offering you additional, more expensive products and services that other people have tried. A reputable carpet cleaner will give you a guarantee. If the business does not offer a warranty, look for another company. You should allow the company to back up their guarantee if things don’t go right the first time. Ask for a refund if you are still not happy with their service. Just because a carpet cleaner is using a brand-name product, that doesn’t mean they do a better job than anyone else. Check for genuine certifications, licensing and insurance any time you are considering hiring a carpet cleaning company. Always examine your carpet warranty before going forward with carpet cleaning services. You may have a carpet that has a stain treatment built in, and putting a different product on it may affect the warranty. You will eventually spend more and the chemicals may not coincide with one another. The company should move your furniture for free. Even the carpet cleaning company will include the move of your furnishings free of charge, you should handle the fragile items yourself. Even if a company promises nothing bad will happen, it is still not wise to trust someone else with your valuables. Some companies will move your furniture. That is good, but move things that are especially valuable yourself, to ensure nothing is damaged. It is best not to take any risks, even if your carpet cleaner is insured and seems reliable enough to take good care of your valuables. If you’re able to implement these tips, you are sure to nail yourself a great carpet cleaning company. If you are a resident of Concord, Walnut Creek, San Ramon, Danville, Blackhawk and it’s nearby cities, you don’t need to look too far. Accents in Cleaning is one of the best carpet cleaners in the area. Just give us a call and dirty carpets will be a thing of the past for you.